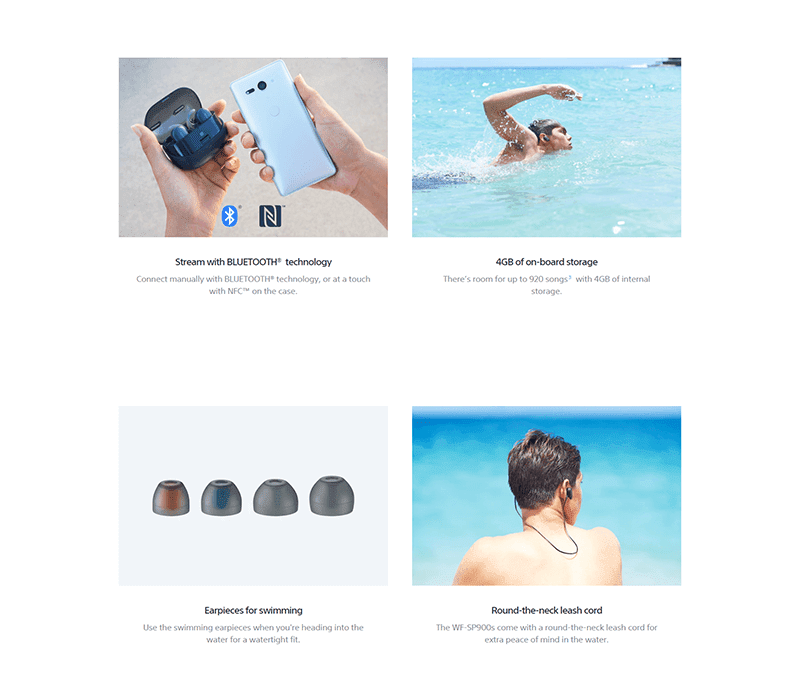 Sony to launch the WF-SP900 waterproof wireless earphones in the Philippines soon! Home / mobile / news / sony / Sony to launch the WF-SP900 waterproof wireless earphones in the Philippines soon! 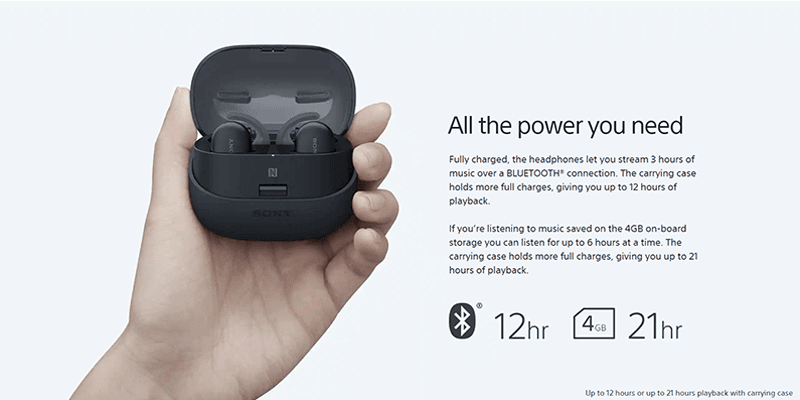 Sony has announced that the new WF-SP900 waterproof wireless earphones will be available in the Philippines in October. The WF-SP900 designed to let you listening to your favorite tunes even while exercising. It has IPX5/8 rating which allows you to swim in the pool or sea with up to 2 meters depth and IP6X dust resistance. It also has up to 4GB internal storage which allows users to store up to 920 songs, Bluetooth for wireless connectivity up to 10 meters, and up to 3 hours of battery life on a single charge, and charging case which can give extra up to 12 hours of juice. It has a USB Type-C cable and charging port. We also like that it has NFC for convenient pairing. It even has a ergonomic design, four sizes of eartips, and three sizes of arc supports for the best possible comfort depending on the size of your ears. The WF-SP900 also has an option to use the leash cord for extra peace of mind. According to Sony, this earphones can deliver crisp and clear sound with the use of its newly developed Balanced Armature. It also has the Ambient Sound Mode and Voice mode to listen without distraction. This new earphones also has tap operation or button operation sensor so users can easily turn the volume up or down, play and pause, skip song, and return to previous song. Google App and Siri can also be activated with WF-SP900 headphones when connected to your smartphone. Stay tuned for the official SRP.